The most fundamental question in Turkish politics – since the country entered an unprecedented phase of civilian autocracy after the Gezi park protests in 2013 – is an existential one about democracy: do elections matter? More precisely, would President Recep Tayyip Erdogan surrender power because of election results? At a time when Turkey seems to be inching closer to dictatorship, there have been legitimate concerns that Erdogan’s rule has become permanent. This is why last Sunday – March 31, 2019 – will be remembered as a turning point. Millions of Turks were glued to their TV sets to watch the results of local elections across the country, which showed that Turkish democracy – or what remains of it – still has a pulse. The pessimism was justified by the brutal crackdown on opposition forces and a series of AKP (Justice and Development party) electoral victories at the local, parliamentary and presidential levels between 2014 and 2018. Turkish elections under Erdogan have seemed neither free nor fair. The AKP and Erdogan control the media; freedom of speech and assembly have been curtailed; and the most charismatic opposition leader is behind bars. As if this were not enough, elections could be rigged, as demonstrated in irregularities during the 2017 referendum establishing a presidential system. Under such circumstances, Erdogan’s autocracy seemed election-proof and immune to the vagaries of the ballot box. The fact that Erdogan’s party lost the capital city of Ankara is in and of itself a very significant development. But what matters much more is that Istanbul – the microcosm of Turkey and Erdogan’s bastion since 1994 – has fallen to the opposition as well, albeit with a very narrow margin. The state-owned Anatolian News Agency and the Electoral Board tried hard to conceal the opposition’s apparent victory in Istanbul the night of the election. A razor-thin opposition victory in Istanbul amounts to a political earthquake that is bound to produce after-shocks for voters who had lost hope in elections. Such tactics badly misfired. Rather than Erdogan’s imaginary enemies, Turkish voters in almost all major cities preferred to focus on something much more concrete and visible: inflation, unemployment, recession and a major drop in standards of living. In short, that adage, “it’s the economy, stupid,” proved right one more time. The fact that Erdogan has lost Ankara and Istanbul, after 25 years of de facto control of these two symbols of political and financial power, will give hope to a young generation of Turks who have seen nothing but Erdogan’s electoral victories. The results also prove that Turkey is not a dictatorship. But make no mistake, Turkey is still an autocracy. And it is clearly still too early to rule Erdogan out of Turkish politics. But there is no doubt that the Turkish strongman has entered the last and most difficult stage of his political career. Erdogan should consider himself lucky because he will not face another election for the next four and a half years. The deteriorating fiscal situation, however, will severely limit the AKP’s means of patronage as distributing largesse becomes much more difficult in times of economic hardship. The central government may try to drain away funds from the Istanbul, Ankara, Izmir, Adana and Mersin municipalities. But impoverishing half of Turkey’s population will not be a winning strategy for the next electoral cycle of 2023. In addition to an economy facing the daunting challenge of stagflation, Erdogan is also entering a very rocky period in Turkey’s relations with the West. Both Washington and Brussels have their axes to grind with Ankara because of Erdogan’s willingness to buy a Russian missile-defense system and the systemic deterioration of the rule of law in Turkey. The only reason Western partners are putting up with Erdogan is because he seems to be the only game in town. This is why these election results are coming at a difficult time for Erdogan, as he needs to project himself as the undisputed strongman of the country. But with Ankara and Istanbul in opposition hands, together with all the other major cities of the country, Erdogan’s aura of invincibility is clearly over. Not only is the main opposition Republican People’s Party finally showing signs of life, but there is also a strong chance that there will be divisions within Erdogan’s own party. Former Finance Minister Ali Babacan, who was widely seen as the architect of AKP’s strong economic performance between 2003 and 2008, is rumored to be founding a new center-right political party with the likely blessing of former President Abdullah Gul. 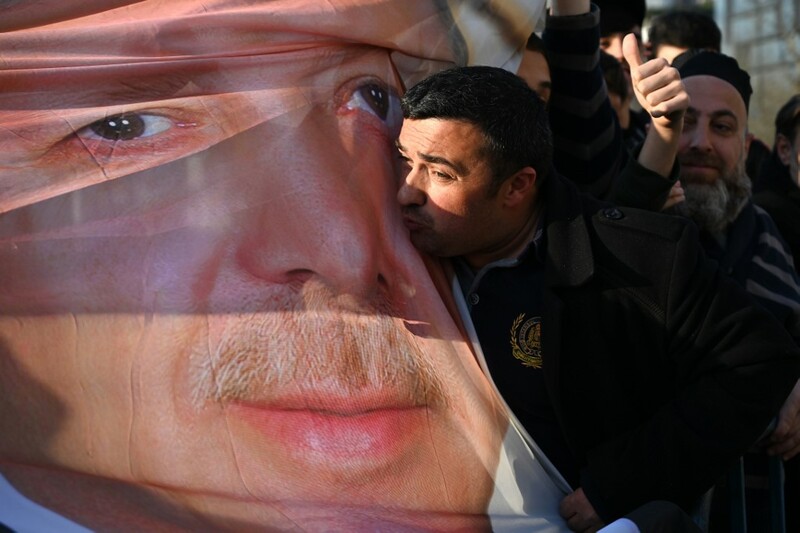 As he is licking his wounds, Erdogan will probably focus on the economy. The Turkish lira is already under pressure. It lost 2 percent of its value the day after elections and investors speculate that the central bank has burned through most its reserves to defend the currency. Erdogan knows it is high time for belt-tightening and structural economic reforms. But only time will show if the Turkish strongman, who is addicted to nationalist populism and surrounded by sycophants, will have the vision and courage to pursue painful reforms. Time is on his side, but his track record is not.